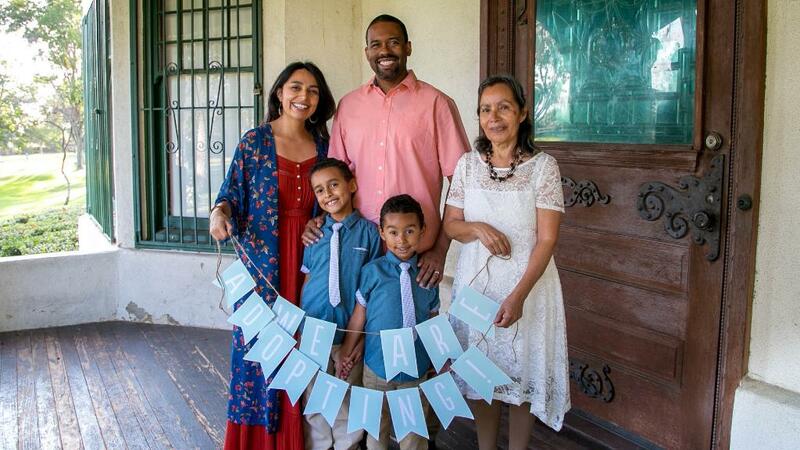 It is such a joy to share our adoption story with you! We feel so blessed by having a group of supportive and loving people around us, and we want to make you part of this blessing! Our desire to adopt is deeply rooted in our Christian faith. As our family keeps growing in Christ, our idea of adoption has transformed from a mere thought, to an increasingly exciting reality. We have already experienced many of the joys and difficulties in parenting through our two sons Hezekiah and Elijah. And as such we have learned how to depend and seek the LORD even more. We more clearly see that God’s adoption of us into His family can be extended to others through the adoption of children in need of a home. We are hoping to adopt a baby through a domestic open adoption (Open adoption: when adopting parents keep in contact with the birth mother if she desires so). This will be our first time attempting adoption, and we find no words to describe the sweet emotions this brings to our lives. We are ready to love and cherish another baby, and cannot wait to share it all with this sweet little one! Our boys are over the moon with the idea of having a little sibling to play and share toys with. Our abuelita Maria, is ready to keep on passing on her cookie and pastry recipes to the next generation, and of course, teaching Spanish to more little ones. As we walk thru this exciting experience we are asking for your prayers, please remember us constantly. Call us, ask us questions, bug us, really. We need a mountain of prayers to keep going! The process of adoption is a long one, it is emotional, and overwhelming at times. So, we need prayers for patience and discernment, for our future baby and for our birth mom. Please pray also for all the women, men, children, and families involved in adoption processes; whether they are international, domestic, from foster care, or private. Pray earnestly for the systems and laws that help and protect them. And also for more people to become adoptive parents or advocates for adoption. Adoption as a ministry is filled with hope, but it also has a tangible monetary cost. This cost is the reason many families shy away from Adoption. On average, according to a survey by Adoptive Families Magazine , the cost of a private domestic adoption is about $40,000, even with a tax break,matching programs, and grants, there is still much more to be covered. It is for this last reason, we are also humbly requesting your monetary contribution. Our Lord has blessed us with a $3000 matching grant from the loving community at our church, Grace Evangelical Free in La Mirada, CA through Lifesong for Orphans. Would you consider help us raise another $3000, so we can reach our total of $6000? If your heart feels moved to help us bring our baby home, please pray and reflect on the wonderful investment you are about to do, and rejoice in knowing that it has eternal returns. Any contribution is a blessing to us, and we receive it open heartedly. God bless you for you generosity!